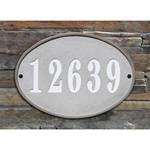 Address Plaques | House Number Signs | Free Shipping! 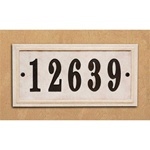 Address plaques will add a finishing touch to any home. 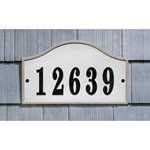 Address plaques should be visible from the street and easy to read. 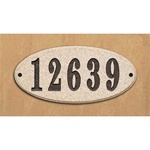 Address plaques play an important role in helping emergency responders locate your home. 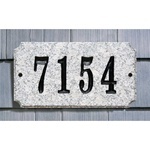 We offer address plaques in cast stone and address plaques in solid granite. 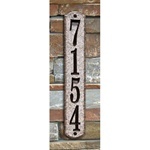 We also offer lighted address plaques and non-lighted address plaques. 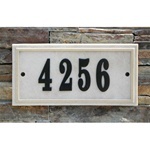 All address plaques ship for free! 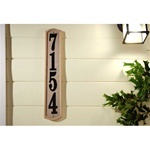 If you're looking for lighted house numbers, you might also be interested in our Edgewood series signs. 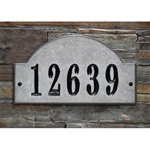 These elegant signs are constructed of durable cast aluminum, so they won't rust when exposed to the outdoor elements. They are available in several different sizes, and a variety of finishes. 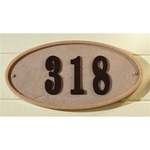 Some of the Edgewood signs also offer the option for cast aluminum numbers in a finish to match the frame. 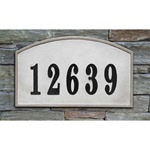 All of our lighted house number signs are energy-saving low voltage signs. There are many different styles to choose from, as well as various color options. 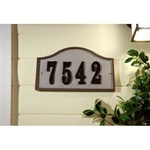 Some of our lighted signs will only display the house number, while others also have room for the street name. Have you recently purchased a new storm door from a hardware store? After the first few years, most standard handles will begin to show rust and tarnish. This is because many of the big storm door companies won't spend the money to put lifetime finish hardware on their doors! Furthermore, have you ever gone back to the hardware store and tried to find a replacement? There's practically nothing to be found! And forget about finding something with lifetime finish! That's why we are offering a complete line of hardware, much of which features a true PVD lifetime finish. We guarantee that our lifetime finish products will never tarnish, discolor, or decay for as long as you own your home!